A star-artist who glorifies the consumer society and the kitsch style. Ex trader, he proposes an updating of Pop Art. His sculpture “Balloon Dog” was sold for $ 53 million on December 2013. 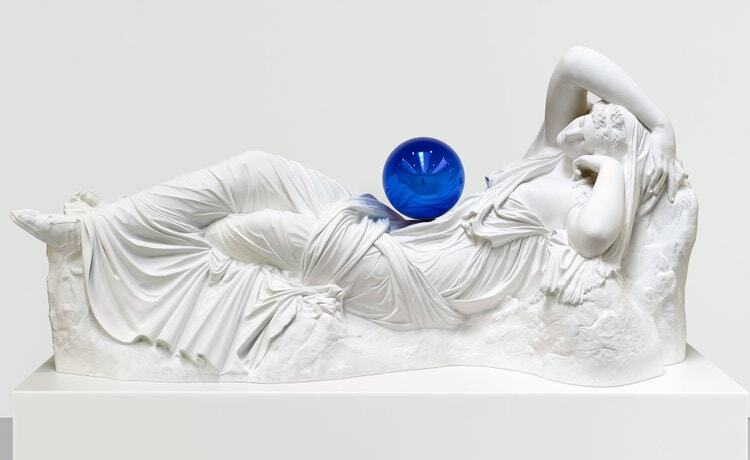 Currently the most expensive living artist in the world, his work reinterpretating the "kitsch" has been celebrated by Centre Pompidou, Paris or more recently Tate Modern Museum, London. An edition of the famous "Balloon Dog". This snow globe is a replica the original large topiary displayed at the Fondation Beyeler and most recently at the Rockefeller Center, New York. Edition Courtesy, for "La Beauté" exhibition, Avignon, France, 2000. Very limited edition, released by Galerie Jérôme de Noirmont, Paris. In mint condition in original shrinkwrap.